My Fantasy Cricket winnings have crossed ₹6 Lakh! I have Won over ₹6 Lakh. Aapka Time bhi Ayega! 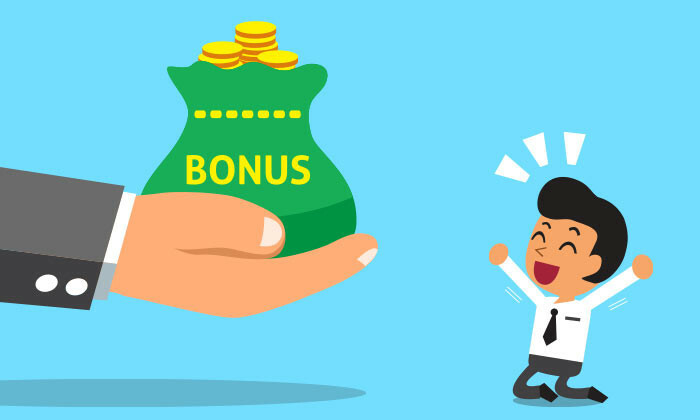 100% Bonus entries is one of the most discussed and talked about topics amongst our daily users and we have always thought of making this feature more exciting for them. We have an interesting update this time but before we go into explaining it, the important question that comes up here is, are you aware of this benefit (that exists in almost all our top leagues)? Well, this article is mainly to help you understand the same. To find out the 100% bonus leagues, just look for B sign next to a league name. Number specified with B symbol represents the number of entries with which you can join the league from 100% bonus entries. For example, 3B means you can join the league with upto 100% bonus only for the first 3 entries. 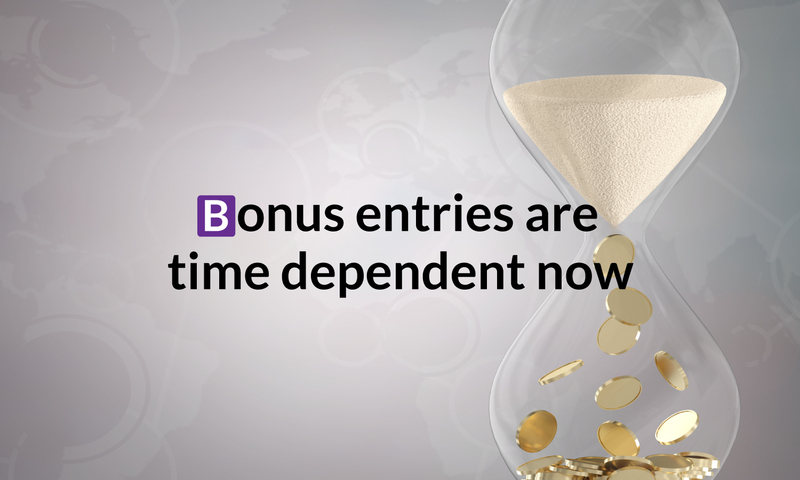 Going forward, all the 100% bonus entries would be time dependent which means that the count of B will now be dependent on time. If a league has 4 100% Bonus entries i.e 4B, it will become 2B exactly 4 hours before match scheduled starting time. You will be able to enter only 2 100% Bonus entries if you do not join that league before 4 hours of match scheduled time. If a league has only 1 100% Bonus entry i.e 1B, it will remain the same i.e 1B. 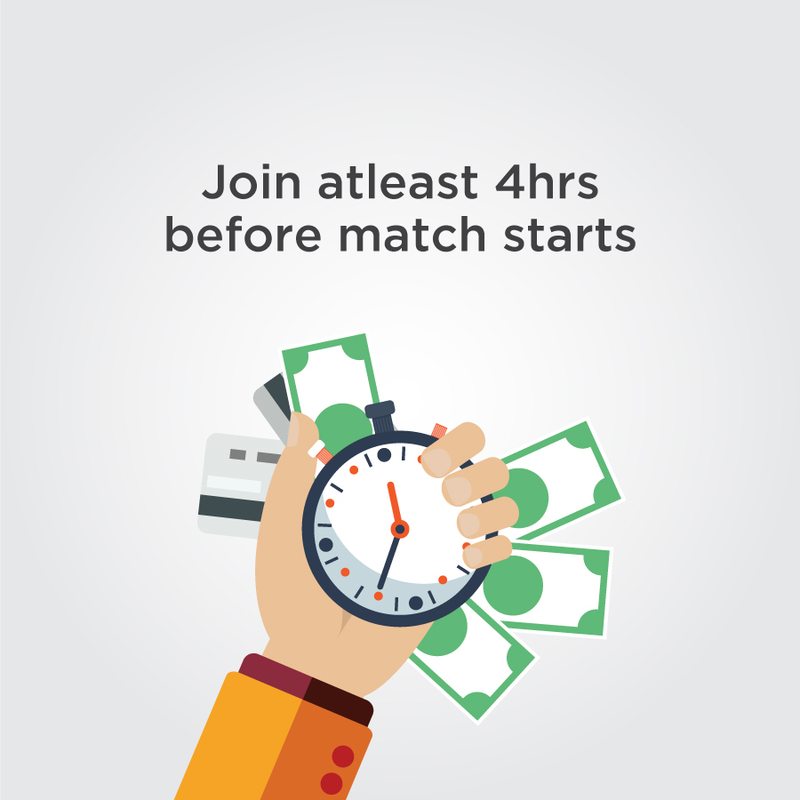 So you will be able to join with 1 100% Bonus entry till match starts. Some common conversions will be – 1B to 1B (no change! ), 2B to 1B, 3B to 1B, 4B to 2B, 5B to 2B, 6B to 3B, 7B to 3B and 8B to 4B. To enjoy full bonus usage in our top leagues, do remember to join them 4 hours before match starting time. If a league has 4B and you have entered 3 100% Bonus entries till 4 hours of match scheduled time, you will not be able to join with 4th entry post 4 hour deadline. So use all your 100% Bonus entries beforehand! Remember – You can edit your team till match starts. Join leagues beforehand and edit team till last minute. HalaPlay provides lineups for 99% matches. So you will almost never lose just because you have non-playing players in your team. Fantasy sports is all about your skills. Use your skill after knowing all the conditions of the match (pitch condition, lineups, batting order etc).